Name facts"Orcas are sometimes referred to as killer whales. This name is thought to have come from early observations of orcas killing other whales, which lead to the title of "whale killer." This phrase slowly changed over time to become the now-common name, "killer whale." The name "killer whale," however, is inaccurate since orcas are actually members of the dolphin family! Additionally, in some circles it has given orcas a sinister reputation, despite the fact that these top predators are not vicious killing machines. 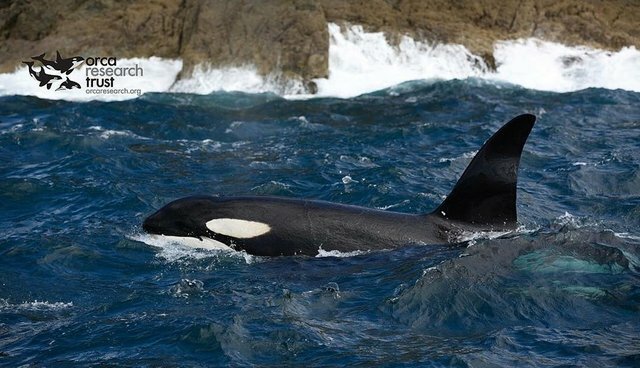 At WDC we prefer to use the name "orca," which comes from their Latin scientific name Orcinus orca. Roughly translated, Orcinus means "belonging to the underworld," and the word orca simply means "whale."